6-8 April: Catch Kumar in a “silent” stand-up, attend a Pet fair, and watch a Jay Chou musical! 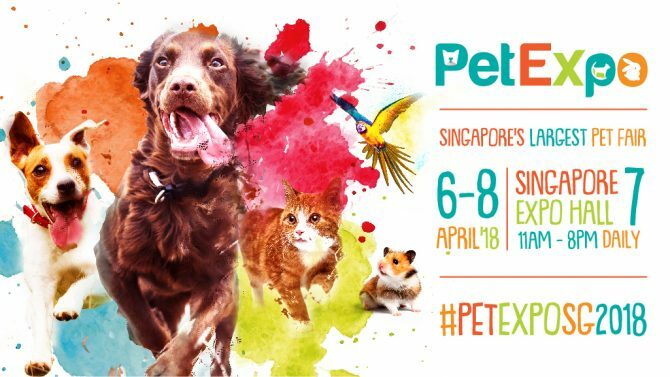 Singapore’s largest pet fair, PetExpo returns for its fifth edition from 6 to 8 April from 6 to 8 April this year. Pawrents can look forward to doing yoga with their dogs, learn to manage pet health problems and emergencies, and shop from local pet-preneurs in PetExpo’s first ever Made in Singapore Square, along with 60 other vendors across the 5500 square feet hall. Animal lovers looking for an addition to their family ca also cosy up with animals from 14 participating animal welfare groups at the AVA’s speed-dating style adoption drive.